Rachel Tronstein Stewart continues tradition of Jewish involvement. Rachel Tronstein Stewart, 37, says she likes to be involved in things. For Stewart, those are more than casual words. 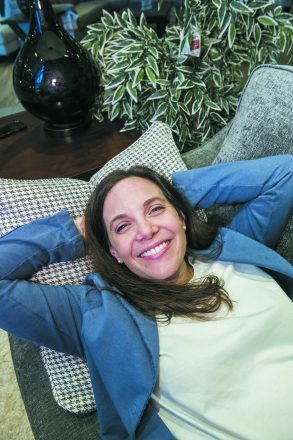 She is president of Gardner-White, her family’s furniture company, headquartered in Auburn Hills, which operates 10 stores. 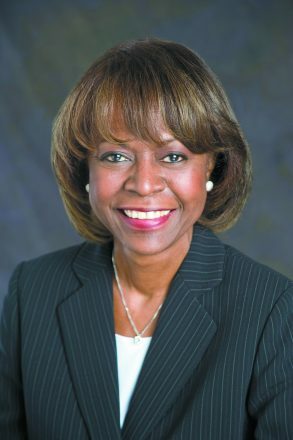 This January, she was named chairman of the board of New Detroit Inc., a nonprofit leadership coalition working to achieve racial understanding and racial equity in Metro Detroit. Stewart is the first woman to chair New Detroit, succeeding William Taubman, who had led the organization since 2008. 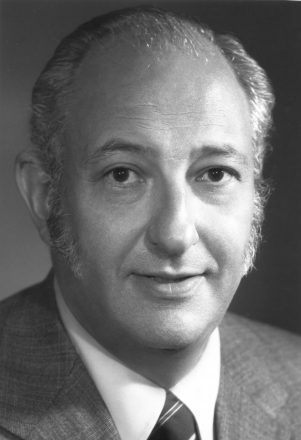 Four Jewish chairs preceded them during New Detroit’s earlier years — Max M. Fisher (1969), Stanley J. Winkelman (1971) and Alan E. Schwartz (1982). 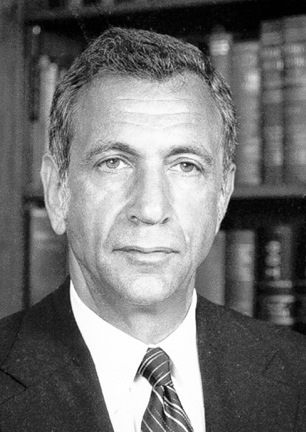 Fisher and Winkelman, as well as Paul Borman, Dr. Norman Drachler and Mel Ravitz, were on the initial New Detroit Committee appointed by Gov. George Romney, Mayor Jerome P. Cavanagh and Joseph L. Hudson Jr. following the 1967 civil disorder in Detroit. 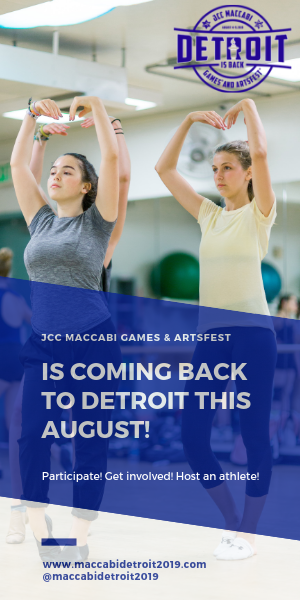 Since then, many other Jewish individuals have served on New Detroit’s board, committees and staff. Stewart became a New Detroit board member in 2014 on WDIV station manager Marla Druz’s recommendation. Since then, Stewart has focused on New Detroit’s strategic planning and its efforts to expand job opportunities. “Race clearly plays a role in employment,” she says. Racial equity is not a new concern for Stewart. She was president of the University of Michigan student body during the years when the university’s controversial affirmative action policies were under judicial review, culminating in two U.S. Supreme Court verdicts. She earned a bachelor’s degree at U-M and subsequently a master’s degree in economics from the London School of Economics. “Rachel is brilliant and committed to our issue of racial justice,” says New Detroit President Shirley Stancato, who will retire at the end of this year. “She is especially interested in issues of employment. “The income gap between African Americans and Caucasians is the same now as in 1967 and New Detroit is focused on closing that gap. Rachel’s participation on the strategic planning committee has a lot to do with that,” Stancato says. Stewart was a presenter for New Detroit’s Opportunity Workforce Development Initiative and participated in an Opportunity Exchange that brought together employers with 50 job seekers. Stewart hired four individuals, Stancato says. Under its new strategic plan, New Detroit will focus on race as well as advocacy and education concerning such issues as adequate funding of public schools in Detroit and the proposed work requirements for Medicaid recipients. “Race is playing so much of a role that we don’t acknowledge. You can’t have a healthy community without racial understanding,” Stewart states. Taubman first met Stewart when she joined New Detroit’s board. Her work on the strategic planning process “convinced me that she was the right person. I was impressed at how thoughtful she was. “She has great excitement and enthusiasm and has the millennial ‘can-do’ approach. She is committed to the issues of improving race relations in Southeast Michigan. She has more of an academic and government background, which gives her a three-dimensional understanding. Rachel will steer New Detroit into new directions that will build on our predecessors. New Detroit is less program-driven and more focused on policy,” Taubman adds. Stewart has a longtime interest in environmental and clean energy issues. After college, she worked on clean energy projects at the Clinton Global Initiative in New York. In 2009, she was appointed to a position at the Department of Energy, where she worked for Secretary of Energy Dr. Steven Chu, a Nobel Prize-winning physicist. “Our goal was to develop a business strategy to get solar energy to the price of coal by 2020. It’s happening,” Stewart says. “I grew up outdoors so how can you not be concerned about the Earth’s sustainability?” She says her father got the family involved in camping when she was young and she canoes, hikes, runs, swims and cycles. She attended the “more rustic” Camp Tamarack experiences and she wishes city kids had the chance to experience the woods. 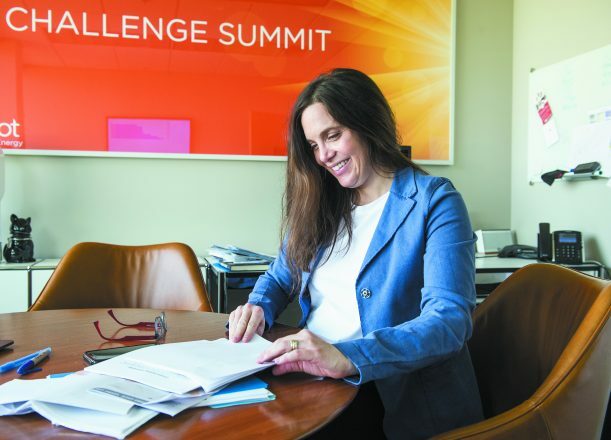 Stewart had thought about starting an energy-related company but decided she needed more business experience and could gain that from her parents, Barbara and Steven, top executives at Gardner-White. 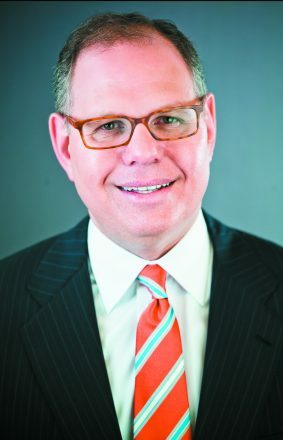 Stewart returned to Michigan in 2012, and they now share management responsibilities for the company, which was started in 1912. 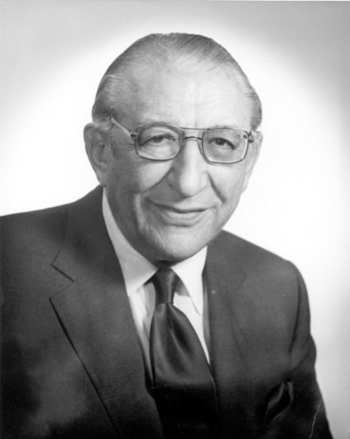 Her grandfather, Irwin Kahn, joined the company during the 1950s and then began major expansion in Metro Detroit. A photo of the original Detroit store is on the wall outside her office. Her sister, Beth, is a physician in Salt Lake City. Their grandmother, Ruth, was the first woman executive at Gardner-White. “She would have been an engineer in a different age,” Stewart says. When Stewart first started working at Gardner-White, she would hear some employees talk about customer service issues as a “source;” they had extrapolated from Grandmother Ruth’s Yiddish description of tsouris, meaning trouble. Her own business style is informal, and she cites her father’s admonition to her and her sister, “Don’t take yourselves too seriously.” Stewart’s dog, Trone, a mixed-beagle named after her paternal grandfather who was an Olympic swimmer, sometime joins her at work. Stewart focuses on the company’s sales and merchandising and has initiated energy conservation measures to reduce energy use and costs. Renewable applies to more than energy at Gardner-White. Stewart is involved in the company’s partnerships with such nonprofits as Humble Design, which furnishes homes for previously homeless families, and works with the Salvation Army and COTS. 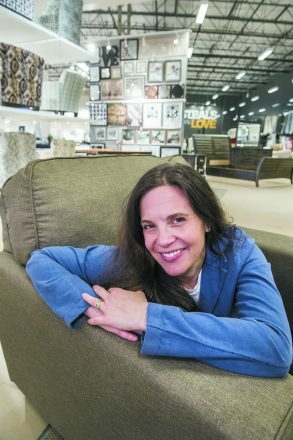 When Gardner-White delivers new furniture to customers, the company can help deliver the old furniture if it is being donated to the Salvation Army. Besides the New Detroit chairmanship, Stewart will have another new responsibility this year — she and her husband, Brian, a physician, are expecting their first child. 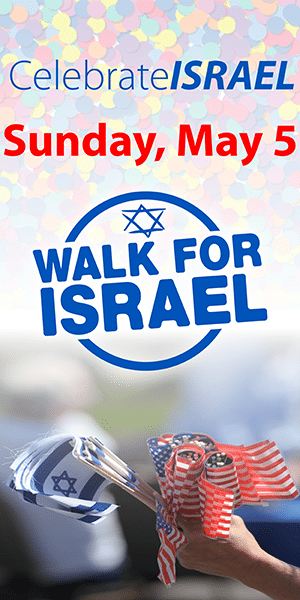 They live in Birmingham and belong to Temple Israel. 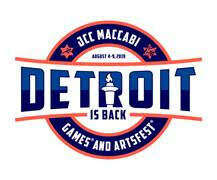 New Detroit was formed in response to Detroit’s 1967 civil disorder, which is also described as a riot or rebellion. At the time, African-Americans comprised 40 percent of Detroit’s population but had minimal representation in the city’s leadership; its fire and police departments were almost all white. Housing discrimination and police brutality again African Americans were common. Similar conditions existed in other American cities and some of these were also the scenes of confrontation and bloodshed. In Detroit, the five days of violence resulted in the death of 43 individuals, more than 300 injuries and the destruction of more than 1,000 buildings. Immediately after the city was calm, Michigan Gov. George Romney and Detroit Mayor Jerome Cavanagh asked business executive Joseph L. Hudson Jr. to convene a coalition of local leaders of business, labor unions, community and civic organizations, government, and academic and religious institutions “to find possible ways to improve the lives of our citizens.” Their mission was to identify what went wrong in July 1967, what needed to change and how to make that change happen. Since then, New Detroit Inc. has been a valuable forum where Detroit-area leaders come together to listen and learn from each other, developing relationships and working together. Such communication and cooperation seem obvious today but were not in 1967. New Detroit has incubated and helped start some of the region’s most important nonprofit organizations: the Detroit Economic Growth Corporation and Wayne County Community College. The nation’s first urban coalition encouraged government agencies and employers to expand opportunities for minority residents and treat all citizens fairly. In addition, New Detroit has provided financial and organizational resources to community-based groups, especially those working with minority groups.